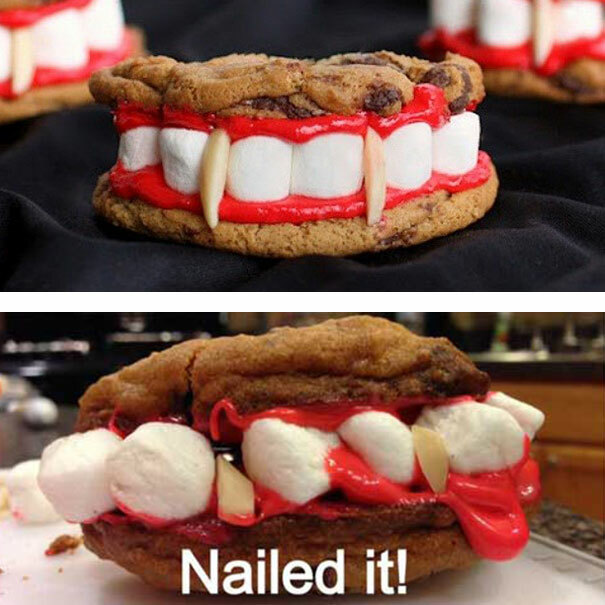 We think this vampire teeth cookie is in desperate need of some braces. 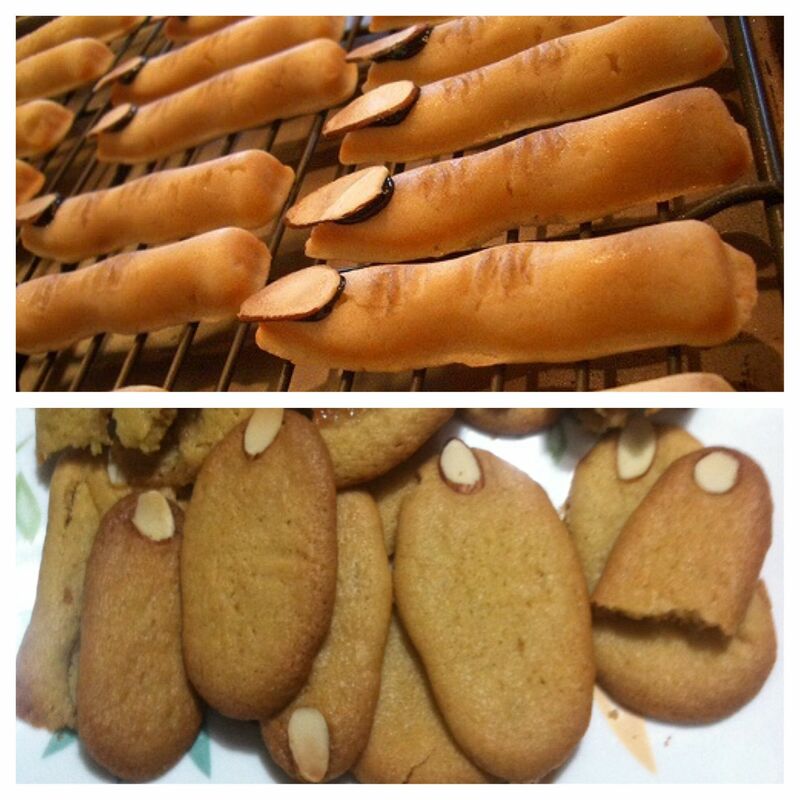 This skeleton cookie before and after looks like a reverse weight loss ad. Maybe they were going for zombie ghost strawberries? 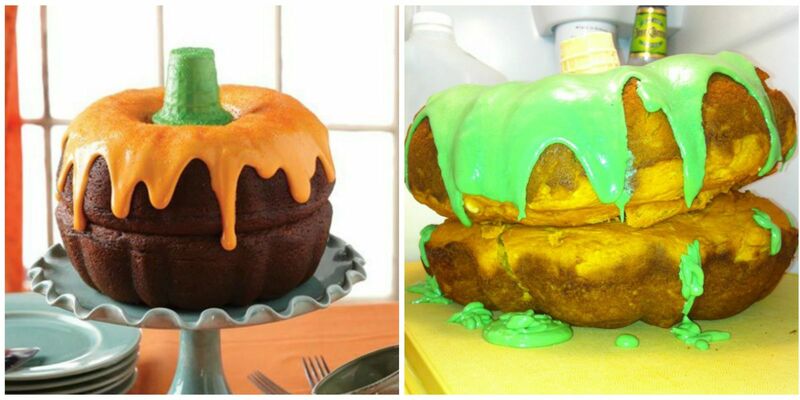 We would never have guessed that these two bundt cakes stacked on top of each other were supposed to be a pumpkin if we didn't see the expectation picture on the left - that's when you know you did a bad job. Even Frankenstein himself would run from what molded together to form one giant blob of rice crispy treat meant to look like him. Witch fingers would be a cool and creepy snack to have but the ones they made must have belonged to the fattest witch ever. 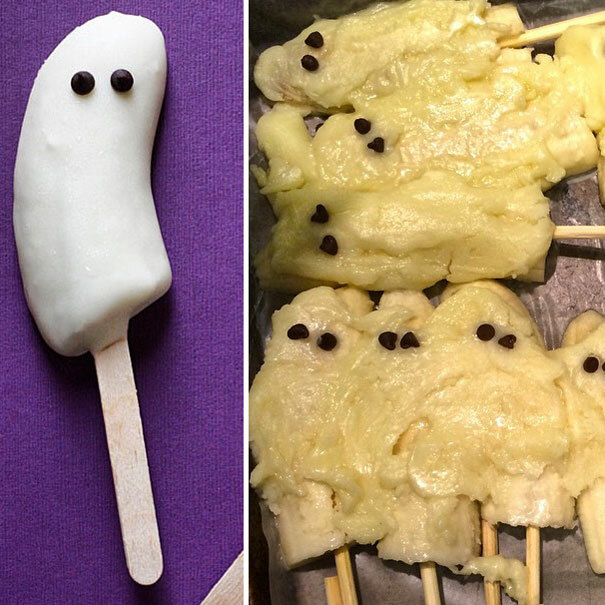 These banana ghosts are only making us uncomfortable because of how mushy they are. What happened?! These jack-o'-lantern cookies look as if they were being surprised by the person taking the picture.